When shopping for omega-3 supplements, you may check the labels for levels of eicosapentaenoic acid (EPA) and docosahexaenoic acid (DHA) in the fish oil. Do you also check to see if the fish oil contained in the supplement is in triglyceride or ethyl ester form? There is a difference. 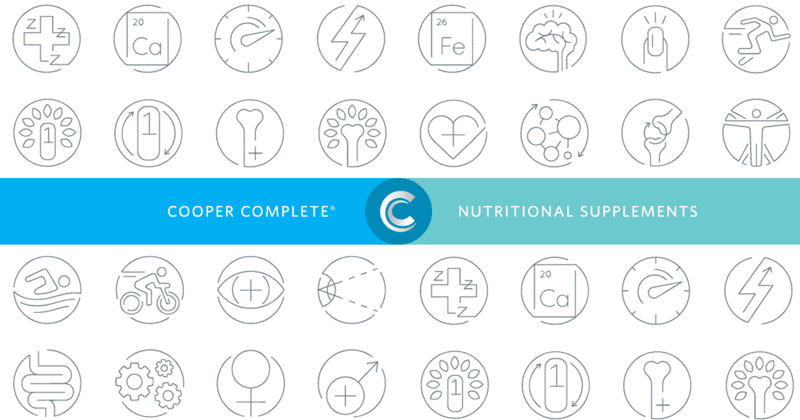 Cooper Complete Nutritional Supplements are based on the overall body of scientific research. Our products are pure, potent and proven, meaning every ingredient has been scientifically shown to add specific nutritional value in the quantity given. For that reason, Cooper Complete recently revamped its Advanced Omega-3 formulation, switching from ethyl ester to triglyceride form. The change is due to studies which show triglyceride oils are better absorbed by the body, especially when taken on an empty stomach. While the change might not be evident from the outside, it will make a difference once ingested. 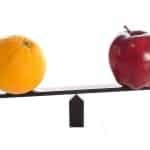 What’s the Difference for Omega-3? Chemically, triglycerides are made of three fatty acids connected to a glycerol backbone. To put it in simple terms, triglycerides are the omega-3 fats found naturally in animal and plant species, including fish. Ethyl esters, on the other hand, are made of one fatty acid attached to an ethanol molecule. Unlike triglycerides, ethyl esters are not found in nature and therefore, must be created chemically. Evidence suggests triglyceride fish oils are more efficiently and effectively absorbed than ethyl esters, as their molecular structure isn’t as complex. Triglyceride fish oils are also better absorbed on an empty stomach compared to ethyl esters. That means taking your Cooper Complete Advanced Omega-3 can now be done outside of mealtime. How much omega-3 should you be consuming? Cooper Clinic recommends a minimum of 1,000 mg (1 gram) of omega-3 from EPA and DHA per day. This infographic helps decipher which types of fish contain the highest levels of EPA and DHA, and may help you decide if an omega-3 supplement is needed in your diet. Looking to have your omega-3 levels checked? Comprehensive lab analysis is part of Cooper Clinic’s preventive exam and includes omega-3 testing. Click here to purchase Cooper Complete Advanced Omega-3 or to learn more about the supplement benefits.